No wonder that Chris Froome was pretty furious after a police officer pulled off his bikeduring the end of stage17 of the Tour de France. 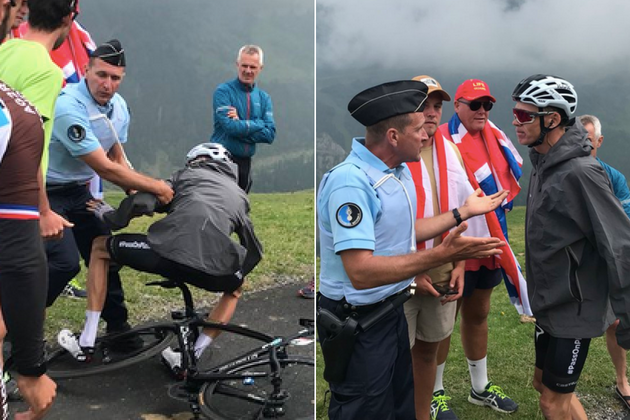 The officer most probably mistook Froome for a fan and caused him to crash after asking to stop. The response of Froome was rather straightforward saying F*** Y**.